Had a fire fitted by Laurie and Jamie on the 4th of November I would just like to thank them for there good workmanship and cleanliness it was a delight to see that good workmanship is not a thing of the past well done to both and thank you. Very profession and friendly lads! Cleaned as they went along. Fire looks amazing, so pleased. Would recommend to anyone!!! We chose Allen Valley because of their fast response time to enquiries, professional but friendly team, and extensive choice of products on offer. Their prices are very competitive and they don’t try to up sell by adding on extras unless you ask, which is refreshing. Recommended to us by friends. Arranged for Jamie to come out and advise us what was best for our space. Once all agreed, we were given an installation date which was good for us 4th October. Jamie phoned to confirm on that morning that the installers would definitely be there as arranged. Professionally installed and we are very happy. Beautiful log burner and they did a great job fitting for us. Lined the chimney and fitted a closer plate. It looks absolutely great. Thank you so much. Laurie & Jamie attended our property on Tuesday 11th to fit a new dual purpose stove. They arrived at 9.30am and immediately set to work. We cannot praise this duo enough they were very polite and considerate including our animals. They were extremely professional and explained everything we needed to know very well. We cannot fault their work and it is without any reservation that I would recommend this company to anyone looking for a new fire or even having their chimney swept and when they left the property was spotless cannot fault them at all- VERY HAPPY CUSTOMER. Amazing product and service. Fantastic service tailored to you. Fitting very professional, cleaned after themselves. Couldn’t recommend more. If you want a fire then must use there guys. We couldn’t be happier with the excellent customer service we received from Jamie and all at Allen Valley. They were always happy to answer questions and provide advice, from the time of quoting all the way through to after job completion. 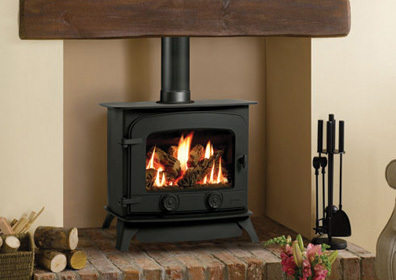 The work done was completed professionally and we’re very happy with our new multi-fuel stove. After fitting the stove they hoovered and dusted, leaving the house cleaner than when they arrived. We highly recommend using Allen Valley The Fire Place. Friendly, professional and quality service at a competitive price. Thank you so much! What a remarkable company. Jamie installed in a new fire in an old house, where there are no square walls or corners. The fire was fitted perfectly, neat and precise. Nothing was too much trouble. We were given expert reliable advice. Jamie made sure that we were 100% satisfied. Thank you for such brilliant, professional and efficient work. We highly recommend Allen Valley The Fire Place. 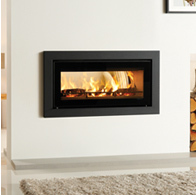 If you are looking for a company to install a fireplace for you, look no further, you won’t be disappointed. 1st class service! Prompt response from our first enquiry. Jamie & James we’re professional & friendly, as we’re the ladies in the showroom, and the house was spotless when they left. Great value too! Highly recommended. Had my Woodburner fitted today . The guys were professional, friendly and they hoovered and dusted up after themselves. I cant sing there praises enough. The provided plenty of advice after installation as well. 1st Class Service. We are absolutely delighted with the work done by Allen Valley The Fire Place. We live in an old converted building where there are no square or straight edges. The project was tricky. Jamie and his team came in and took care of all the problems and went the extra mile for us too. We felt safe, secure and able to trust their expert opinions and advice. They were polite and respectful. The job was complete in no time at all. If you are looking for an honest, experienced, professional to install your fire place, look no further than The Fire Place. You won’t regret it. Thank you again to Jamie and his team for you work. 5 stars. Our Di Lusso R5 Euro multi fuel, was installed by Jamie and James. From the initial home visit and consultation, to the full installation we found them to be highly professional, They were quick and efficient with no disruption. The log burner which was a recommendation from Jamie to suit our needs and room in question looks beautiful in position, it adds an ambience and character to the room. We are so pleased with our new addition to our home and can’t thank Jamie enough for his input and advise for us to achieve all our expectations. 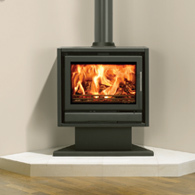 We would recommend Allen Valley The Fire place show room as the place to explore your options. you’ll find a friendly, helpful young lady who will assist you with a welcome smile. And then there’s Milo, We just love Milo. We would rate this company 5/5. Thank you so much. Couldn’t be happier with the work you have carried out. Really professional and just brilliant service!! My living room has been transformed into a lovely space thanks to you all at Allen Valley! Many thanks again. Had my woodburner fitted today well I am so, so happy with it. The guys are brilliant I literally can’t fault them so helpful and professional…turned up on time..answered any questions we had and didn’t make me feel silly asking them…100% recommend you guys. We were quite nervous about who we chose to do our fireplace as it is such an important part of our home. However we needed not to worry with these guys. The service was amazing, with Jamie checking up everyday and going beyond to ensure that we were happy with the finished result. Can’t recommend them highly enough! Great value for money, quick no-nonsence quote and tidy fitting. Thank you. Excellent service from Jamie and Laurie. 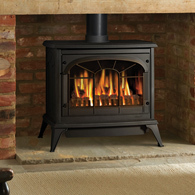 My wood burners were fitted on time and as described, no fuss, no mess and the boys were very respectful of my home. I would recommend Allen Valley Fires to anyone, super job, thanks Lads! !